Bernie Sanders Fox News Town Hall, which fled Monday night, showed that contrary to many of his opponents' beliefs (and some of his followers), the Vermont Senator really has more than a rhetorical position. There was the way he used for the City Hall, and the way he used the Fox News section – represented by anchor Bret Baier and Martha MacCallum, who rightly interspersed issues from the audience with their own questions. When you speak directly to the audience or to the TV audience watching at home, Sanders was sincere and open. When asked about President Donald Trump, he spoke with feelings about how he hoped everyone could agree that a "pathological liar" would not be president; In his closing statement, he practically asked for more comity in the country without supporting his insistence that the rich have to do more to provide work families. 1; or in a few moments directly to the Fox News Monitor – Sanders was as prickly as you expect. "The president looks at the network a little, right?" He reached. He hectored the hosts to make more money than he did. He huffed that he would only give fair answers if he asked fair questions. The awkward dynamics between Sanders and the hosts have sometimes served to sharpen intellectual differences. Early in the hourly town hall Baier asked about Sander's millionaire status (he acquired, with the success of his latest book) showed that capitalism worked; Bernie tartly replied "no", then, after a break, launched in a mini-lecture on the obligation to ensure a minimum standard of living for the least wealthy in America. However, it was often unpleasantly tense. And it worked well for Sanders. The investigation … did not go The way Baier seemed to have thought it would. It is obvious that Fox did not stack the town hall with conservatives or people who hated Bernie Sanders, while the first questioner was a student organizer with the conservative youth organization Turning Point USA, was it draw a progressive organizer who had fought for Hillary Clinton. But Baier and MacCallum's questions were often rooted in the conservative assumptions that a stereotype Fox News viewer could have: Reducing the defense budget would "send a message" to other countries that the US is weak or to immigrants asylum seekers "Must go somewhere "because there is no room for them in border communities (and hence implicitly go to sanctuaries). Sometimes Sanders ran them easily without any newsworthy being offered or said something that democratic primary voter might not agree with. Sometimes he kicked back and challenged the issue. "Why are you so shocked at it?" He challenged MacCallum back and forth to pay for his healthcare proposal. 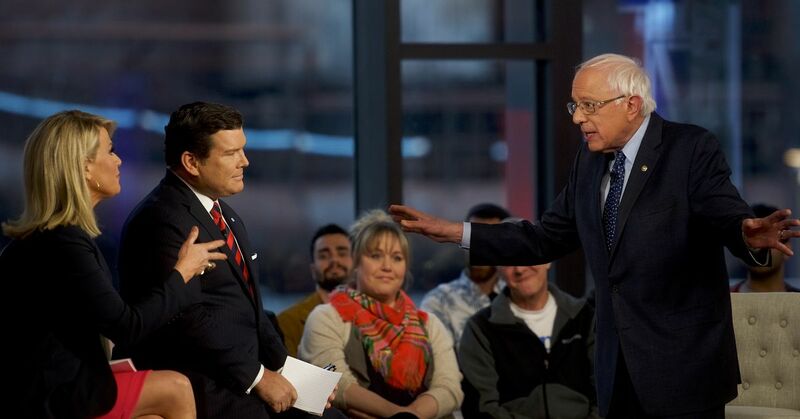 When Baier knew Sanders as a "constant supporter of Congresswoman Ilhan Omar" during what was supposed to be a 15 second "flash round", Sanders spent at least 15 seconds the rejection on the premise – "Hold it, hold it, hold it. I've talked to her two times in my life "- before he confirmed that he supported the right that a" Muslim member of the Congress would not be attacked every day in outrageous, racist comments ". At the end of the city hall, the audience was occasionally with the temporary Baier or MacCallum follow-up, even making call-and-response with Sanders. Maybe it turned out that Sander's campaign rhetoric was central: that the American people wrote big, not just progressive Democrats, really want the government to guarantee them a certain standard of living. Perhaps it has only proved that Sanders is a good politician who is capable of presenting his preferred policy in a way that sounds good to people. Anyway, Sanders saw as a front runner – which, if you look at the polls, is exactly what he is. Sanders is behind former Vice President Joe Biden in some investigations, but Biden has not yet officially declared his candidacy; If Biden somehow decides not to run, poll experts say Sanders could get a big chunk of his followers, making him the immortal favorite. It is a very unusual position for a politician who has won national fame by defining himself against other democrats. And it's a cumbersome fit with his gruffly persona. Sanders prickliness seems sensible when he punches in the polls; But when there is no one to fight, a struggling attitude can come from being generous or even bullying. Fox News hosts provided the perfect foil. Sanders directed their annoyances at them and gave the crowd lots of the authentic apparent "Bernie from Brooklyn" without actually being annoyed by potential voters and without saying anything negative if any of his fellow Democrats also drove the presidency. When MacCallum invited him to attack Biden as a centrist or South Bend, Indiana, Mayor Pete Buttigieg could suggest Sanders be too old, Sanders condemned – pointed out that Biden was a friend and the main thing was that voters heard differences and make up their minds or half-crazy about their distant past as a long-distance runner. The answer gave the impression of Sanders floating above the cheeky, frontrunner style. But he wasn't. He fought MacCallum and Fox News. And in the same way that one could win a debate – but not a typical town hall – he won.